Do You Run XP, Vista or 7? Did you know that you can make a Sony PlayStation 3 Sixaxis controller work on a Windows PC? All you need is the right drivers and it can be done. I’m running a Windows Vista Home system and got it working on my machine, and even played a game with it. This article will provide details on two different methods of how to make it work in either Windows XP or Vista. NOTE: If you are using Windows 7, do not follow the instructions here, but rather, the instructions in this separate article located here: How to make a Sixasix Controller work in Windows 7. Before we begin, you should know that I have worked in the computer field for over a decade and have been using computers for another decade on top of that. I am very knowledgeable when it comes to installing hardware and software, so much so that I have certifications to prove it. The drivers required to make the PS3 Sixaxis controller work on a PC are homemade and not officially licensed by Sony or Microsoft or anyone else, so it is at your own risk that you install them on your computer. If you aren’t comfortable with that sort of thing, my best advice is to just go buy a game controller for your PC and not risk screwing up something. Continue at your own risk. Before you begin, make sure you power off the PlayStation 3 console by flipping the switch on the backside of the unit, next to where the power cable plugs in. If you don’t, you may turn the system on when you hit the PS button on the controller, and this could cause it not to work right on your PC. I read several message board threads where people could not get the controller to work on their computer until they turned off the PS3. Also remember that you have to keep the USB cable plugged in to make the controller work. These drivers are for manual connection with cables, and not for Bluetooth connections. Don’t make the mistake of unplugging the cable while playing, because it won’t be wireless on your PC like it is on the PS3. Here’s the first method that I understand to work best in Windows XP, because it did not work on my Windows Vista system. I got my computer to recognize the controller, but it would not respond to any of the buttons. Download the Sixaxis drivers from download.qj.net and extract the contents of the archive to any folder, such as C:\PS3. Install the USB filter driver (libusb-win32-filter-bin-0.1.10.1.exe) and wait a minute. All of your USB devices will disconnect and reconnect. If there is a problem, be sure to uninstall this software. Plug in the PS3 Sixaxis controller using the USB cable that came with it. Run ps3sixaxis_en.exe. A black DOS window should appear and disappear very quickly. Go into Control Panel – Game Controllers and see if it works. Good luck! This is the method that worked for me on my Windows Vista system. I followed the simple instructions and was able to use the controller to play a game. This only works on 32-bit operating systems, which is what most people currently have. Download the Sixaxis drivers @ https://www.hardcoreware.net/files/sixaxisdriver.rar and extract the contents of sixaxisdriver.rar to any folder, such as C:\PS3. Run sixaxisdriver.exe and follow the on-screen instructions to load the driver. That’s it! 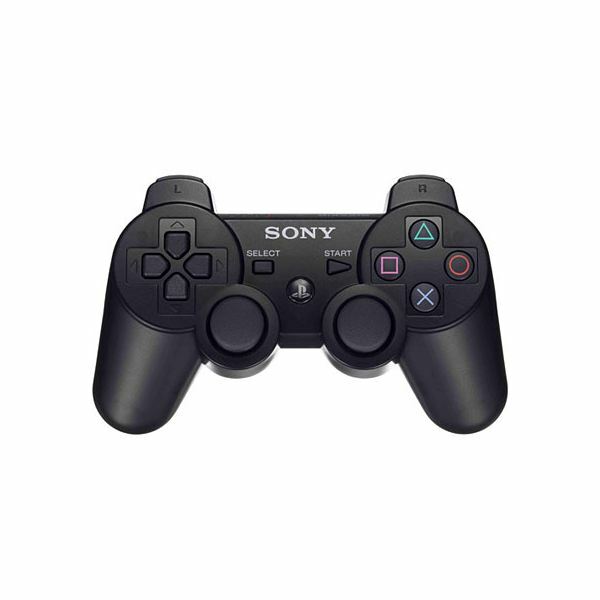 To make sure it worked, go into Control Panel – Game Controllers and you should see the PLAYSTATION(R)3 Controller listed with a Status of OK. Click on Properties and you should be able to test it by hitting the buttons or moving the thumb sticks around. It worked just fine for me on my HP desktop computer running Windows Vista Home. These drivers were not designed to work with Windows 7. 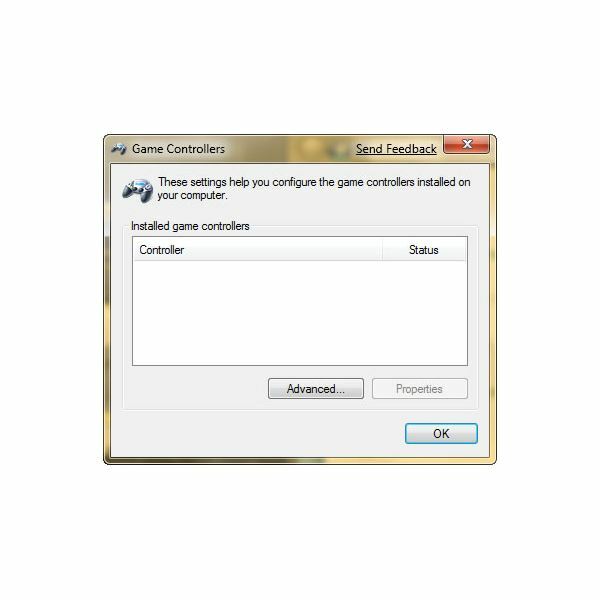 In order to use the controller with Windows 7, you will need to download a separate program and go through a different install process. This article explains everything you need to do and also provides a driver download link. Should the links in this article stop working, just Google ‘PS3 Sixaxis drivers’ and the results should point you in the right direction. I hope that eventually Sony will release some official software for making the controllers work on a PC, because it would be an excellent selling point for the Sixaxis controller.